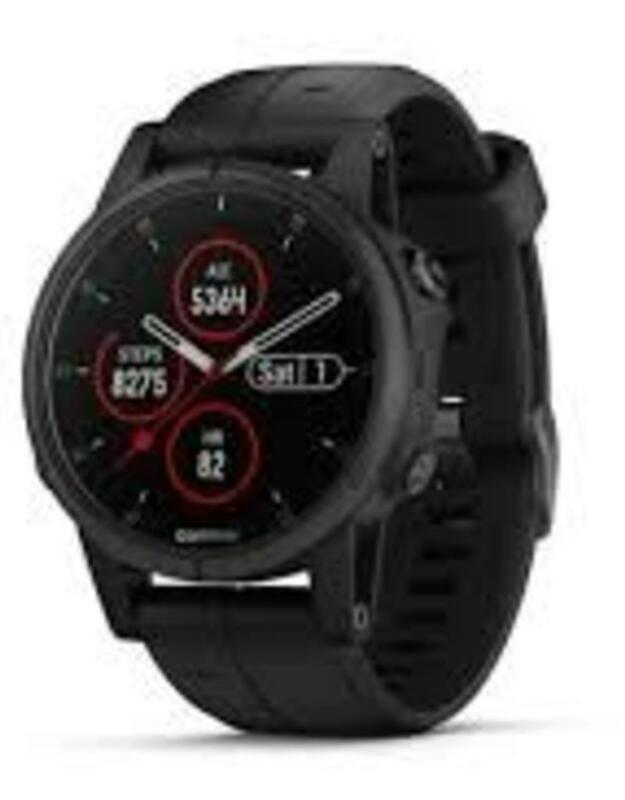 The rugged, premium-crafted Garmin Fenix 5S Plus Sapphire Editionfeatures support for colour mapping, wrist-based heart rate, storage for up to 500 songs and Garmin Pay contactless payment solution. Whether you’re in the city or on the trail, Fenix 5S Plus provides support for mapping and navigation features to help keep you oriented and on course. Full-colour TOPO mapping can be installed for at-a-glance navigation and location tracking. For runners and cyclists, the device also features Trendline popularity routing, which uses billions of miles of Garmin Connect data to help you find and follow the best trails and routes. 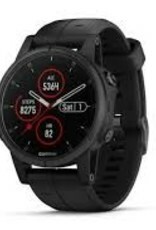 The Fenix 5S Plus watch features multinetwork satellite reception to track in more challenging environments than GPS alone. The built-in altimeter provides elevation data to accurately monitor ascent and descent for activities such as hiking, while the tilt-compensated three-axis electronic compass keeps your bearing – whether you’re moving or not. It also measures your heart rate variability to calculate a stress score that helps you assess what level of activity your body is ready for. To help keep pace with your active lifestyle, Fenix 5S Plus features Garmin Pay contactless payment solution. Use it to pay for purchases so you can breeze through checkout lines while leaving your cash and cards at home. Fenix 5S Plus support smart notifications when paired with a compatible device. Receive emails, texts and alerts right on your watch – whether you’re on the trail or simply away from your desk.